Philadelphia Union midfielder Alejandro Bedoya watched the United States men’s national soccer team’s loss at Trinidad from the bench. Alejandro Bedoya didn't just want to qualify for the World Cup for himself, or his teammates, or the U.S. soccer team's ever-growing fan base. He wanted to do it for his son, who will be just old enough next summer to be able to travel. Maybe the son wouldn't have understood the full meaning of watching his father represent their country on the global game's biggest stage, but the father would have. That same son, his recently born sister and their mother were at the airport on Wednesday when Bedoya returned from Trinidad. "My son ran up to me," Bedoya said. "I had dreams of taking my son to the World Cup — he would have been three and a half years old by then — and just to experience that with him… There was a lot of sadness, a lot of emotions after the game on Tuesday night, and for me, that was the most disheartening thing." Some fans may see that as another after-the-fact lament from another veteran player who came home from the European cauldron to get paid well in MLS. But there's a pretty big difference between Bedoya and Michael Bradley, Jozy Altidore, Clint Dempsey and Tim Howard. And it's not that he makes a few million dollars less than they do. Bedoya didn't play in Tuesday's era-defining loss. He wasn't among the starters or coach Bruce Arena's three second-half substitutes. He sat on the bench and watched, powerless. 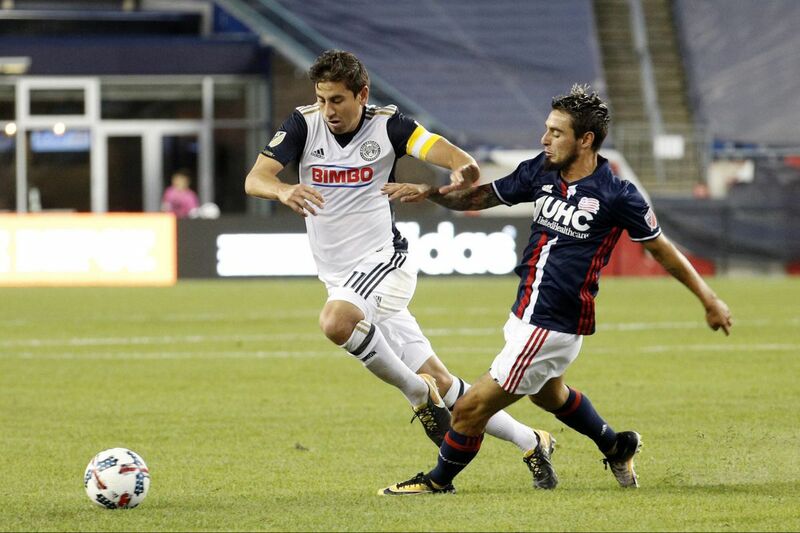 "It [stunk], I'll tell you that much," Bedoya said Thursday as he returned to training with the Union. "For me to be on the bench and not take part in this game, the do-or-die situation, it really [stunk]. There's a lot of emotions: anger, disappointment, disgust. I was pissed I wasn't part of it." He admitted, as he as often did during his career, that he isn't a perfect player. But it is no secret that his best traits on the field are fire, hustle and hard work — traits that were glaringly absent from long stretches of the American performance in Trinidad. "My competitiveness, me being a passionate guy, sitting there, watching the first half unfold, the way we stepped out on the field and were going about things, it was — I'm sure everybody watching probably saw that the first half was, in a situation like that, not what was expected," Bedoya said. "We let our country down, we let our teammates down, we let our fans down, we let our families down, and ourselves down, you know?" "I'm not the guy that's going to do stepovers one-on-one," Bedoya continued. "But for me, sitting on the bench, watching guys not really getting stuck in — I just didn't feel the proper energy out on the field. We were kind of complacent. It was kind of lethargic. And we gave up two goals to Trinidad in the first half." The anger in Bedoya's voice was impossible to miss. "There's no excuses," he concluded. "We should have been through easily. All we needed to do was freaking fight to get a draw in Trinidad, and we didn't make it happen." The conversation turned to what happens now. Bedoya has seen the potential of the new era of young American players that is coming through the ranks, led by 19-year-old Hershey native Christian Pulisic. "Pulisic is a beast, a monster," Bedoya said. "It was so disheartening to see him very emotional after the game. I just told him that if anybody deserves to keep their head up and rise up, it's him. If it wasn't for him, who knows where we'd be right now. I hope a lot of guys like him can make it through, because in the past few years a lot of those youth teams haven't come through for us either." That last sentence was a reference to the United States' failure to qualify for the last two Summer Olympics. Those tournaments are for players aged 23 and under, a vital demographic for player development. U.S. Soccer Federation president Sunil Gulati cited those failures as one of the reasons why he fired Jurgen Klinsmann last year. But there wasn't nearly as big a reaction then as there has been now. And perhaps not coincidentally, there hasn't been much change, either. "There's been a lot of noise [this week], a lot of hot takes out there — as there should be," Bedoya said. "I think more pressure is what we need, and it's going to bring out the best of us in the future. Not just for the players but for everybody involved with U.S. Soccer, from the grass roots on down to the communities, the local coaches, local teams, development academies, everything. Everyone has got to take a good, hard look in the mirror." Bedoya specifically pointed a finger at the high cost of playing for elite youth soccer teams in America. "There's a lot of people out there saying that the whole pay-to-pay thing is flawed, but I haven't seen many solutions to it — just a lot of hot takes," he said. "It's difficult. It's a huge country, there's a lot of money to be made off U.S. Soccer." He saw the problem firsthand as a kid, when he played for South Florida powerhouse Weston FC. These days, the club gets sponsorship money from Nike and national prominence from being part of U.S. Soccer's high-level Development Academy program. When Bedoya played there, life wasn't so easy. "We needed to have a lot of fund-raisers to get our most talented players on the team, to be able to travel to tournaments. It cost a lot of money," he said. "We need to really reach out and get all the talent that there is in this country and give them a place to shine, and give them give some belief. And better scouting, too." What about Bedoya's own future? He's 30 now, and with five years until the next World Cup, he likely won't be part of the national team by then. Indeed, if the program goes for a youth movement now, his time with the squad could be over soon. "I'll be a lot older in five years. I don't know what the future brings, but for me, I know whenever I step over those white lines, I always give my all, and all I've got, and that's the same for country. Whatever happens now, I just sit back and do my best for the Union, and see what happens with U.S. Soccer, where we go from here."